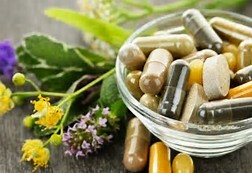 We select only the foremost science based in safe and all natural supplements. We pick and choose the best, stay abreast of the latest research, and have firsthand knowledge of the results seen in clients. Our offerings change as we observe and learn more. People who are not clients can also benefit from the science and real world evidence reflected by our offerings. However; we do require an initial consultation that can be done in person or by telephone. Your practitioner will provide a list of recommended products to order.